Freezer Meal Planning in Our House | My Journeys Through Life . . . Herding Cats In New Mexico! 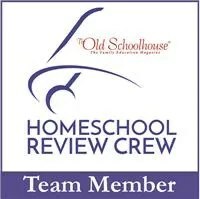 In 2016, The Homeschool review Crew explored using the MyFreezEasy.com Freezer Meal Plan Membership from MyFreezEasy. I was not fortunate enough to be on that review, but the reviews of other crew members made me WANT it so much! So, at tax return time, my husband had me go ahead and purchase a membership. Since then, there’s been so much happening around here that this was actually the first time I’ve done it! This past Monday, with “The Artist’s” help, we got ten slow cooker meals prepped and ready to go! and one Slow Cooker Creamy Ranch Chicken. We only put one of those in the freezer because I set the second one in a bowl in the fridge to cook for supper on Tuesday. I was not home for supper on Tuesday, I was gone with one of my sons, so I asked my husband to take a photo of the plated, finished product for me. It was a huge success! I had changed the amount of servings per recipe from 4 to 6, and just my husband and two of my boys ate all of it except for enough for my husband to take to work for lunch on Wednesday! Thursday, we had Dr. Pepper Pulled pork, another huge hit! This time there are enough leftovers for my husband and 2 older boys to have tonight while “The Puzzler” and I are out visiting his brother in the hospital. We are thus far extremely pleased that I bought this, both because it will cause us to not have to hit drive thru when we forget to plan, and also because now, when there is a need to take meals to someone in our church family, I will always be prepared. Win/win! This is NOT an official review post, but I do encourage you to go read the reviews of those crew members who were lucky enough to have this review, and see what they thought. You can read them all at this site.